The N.C. Chronicles. : Question: How does an unemployed medical student afford $20,000 in weapons gear? How does an unemployed medical student afford all the complex weapons gear, bomb-making gear, "flammable" booby trap devices, ammunition, bullet-proof vest, groin protection, ballistic helmet, SWAT uniform and all the rest of it? and how does someone turn from a respectable student with a promising career, to committing a cowardly murderous act? A cowardly murderous act to me is when one attacks unharmed women and children, one does not just say to oneself, I think I am going to kill kids today, there has to be an evil behind this...something that caused a breaking point, and I do not believe a movie is the cause. And what about the main stream media, they have talked to everyone but the local dog walker, so don't tell me they do not thrive on these type of stories...If there is any copy cats out there, they can be assured they will get all the coverage and popularity they desire. Something is wrong with our society. And to many of the innocent are dying while we sit back and watch all of it on TV. We either continue on depending on the few, or we do something to change things, because those we trust can't seem to get their asses in gear. Addition: July 21 2012, interesting reading on mind control. was a 20th century scotish born psychiatrist who was involved in the united state central intelligence agency (cia) research on mind control and served as President of the Canadian, American and World Psychiatric Associations, the American Psychopathological Association and the Society of Biological Psychiatry during the 1950s. Notwithstanding a career of honors, and leadership in early 1950s psychiatric circles, he is heavily criticized in some circles for his administration of electroshock therapy, experimental drugs, and LSD to his patients, some of whom entered permanent comas as a result of the treatment. 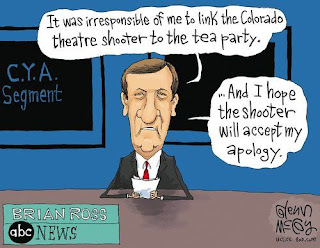 A memo published on the 12th of may 2012, on, yes, theater attacks...False flag???? 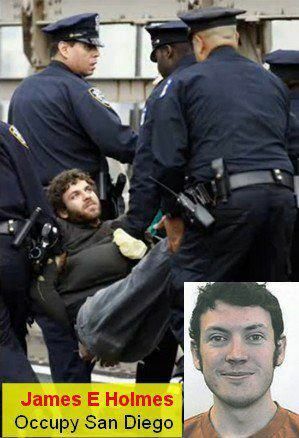 Here is what I find confusing, this James Homes was involved in the ows movement, to my knowledge, the ows movement is for people against the establishment...But he goes out killing women and children in a theater full of...innocent people??? Like I said I try to stay away from conspiracy theory, but this smells. I can see people been used for profits and power, if it's not the corrupt social programs policy to destroy the traditional family and make people dependant on the system, it's something else. 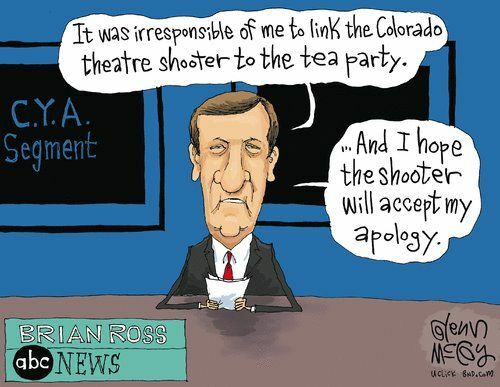 And the main stream media just keeps towing the line. Looks like this might go higher than the corrupt unelected bureaucracy. As for the crazy media jumping the gun....Divide and conquer? It never crossed my mind while I was watching the lame stream media drooling over this story, but now that you mentioned it. Q. How does someone turn from a respectable student with a promising career, to committing a cowardly murderous act. Thats a good one John, gonna add that one. Good post, informative. I also dont sign up to conspiracy theory but something is wrong with this picture. Gives people something to think about doesnt it? crazy stuff, students cant afford food but can afford weapons.mmm!